I mean, it looks like Far Cry—specifically like Far Cry 4 with hairier animals. If you’ve been using the bow and arrow for the last two games then this looks right in line, though the hunting system seems to have been expanded and brought center-stage. 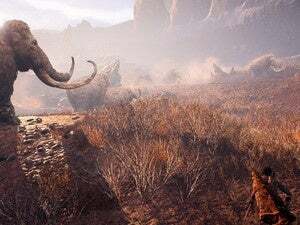 The trailer shows you and three other hunters taking down a woolly mammoth with spears, and Ubisoft mentions that you can now construct new weapons from hunted animal remains. Animal corpses will attract larger predators though, like the sabretooth shown in the trailer, so you’ll need to be quick. Appropriate to the era, Ubisoft also says we’ll need to “master fire,” which includes “setting your weapon on fire or scaring predators at night.” Or, presumably, burning down the entire forest because you accidentally dropped your torch on the ground and Far Cry doesn’t forgive that sort of mistake. When I’m done, Oros will be ash. 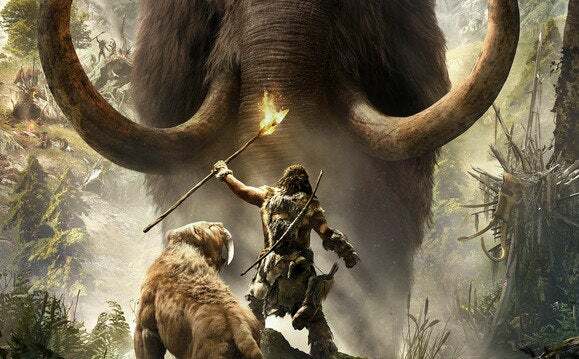 Far Cry Primal releases February 23, 2016. The main question now is whether this is a full-fledged release or a mini-experience like Far Cry 3: Blood Dragon—or somewhere in between? And more importantly: Can I ride woolly mammoths?